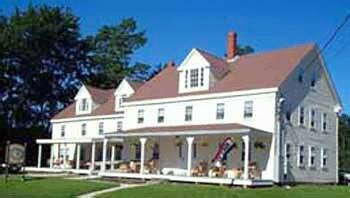 Property Location Located in Old Orchard Beach, Old Orchard Beach Inn is minutes from Harmon Historical Museum and close to Dunegrass Golf Club. This bed & breakfast is within close proximity of Monkey Trunks Extreme Aerial Adventure Park and Funtown Splashtown USA.Rooms Make yourself at home in one of the 18 air-conditioned guestrooms. Cable television is provided for your entertainment. Conveniences include phones, as well as coffee/tea makers and irons/ironing boards.Rec, Spa, Premium Amenities Make use of convenient amenities, which include wedding services and a fireplace in the lobby.Dining A complimentary continental breakfast is included.